← Need Parenting Advice? Listen To Your Gut. While this wasn’t L’s first Halloween, this was the first year we took her out Trick or Treating. 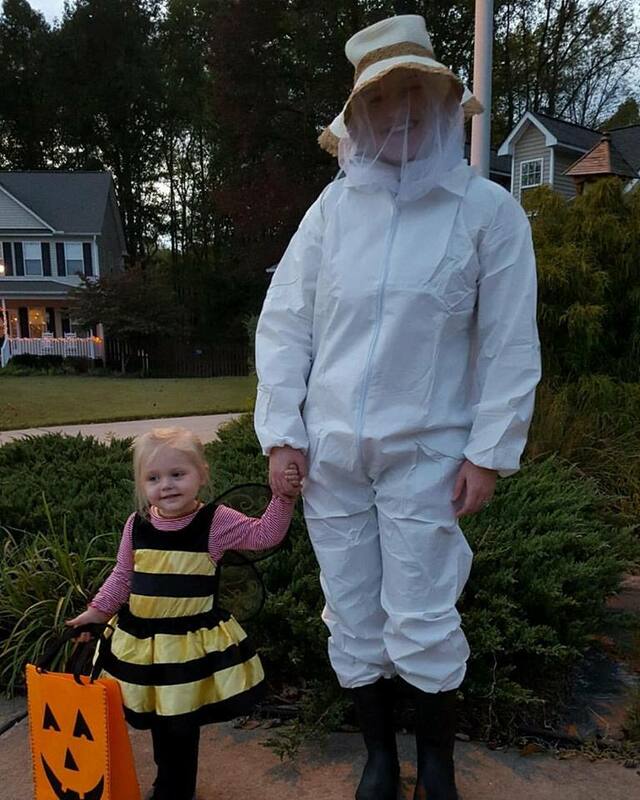 We probably could have taken her last year, but she was just as content handing out candy, so we didn’t bother taking her around the neighborhood. Now that we’ve moved, there are a lot of families in our new neighborhood, including our neighbors who have 2 little boys around L’s age. So, we made plans with them and another one of our friends with 2 kids to go out together. “That’s great, honey!” I replied, almost equally as thrilled. Her excitement = my excitement. She ran to the next house, and the house after that, and the one after that. This trend continued for the next few blocks, until she had a half-full bag of candy, which is quite a bit for a kiddo her size. There’s something about this new neighborhood that makes me feel like our family found the place we are meant to be, live, grow… like we are finally, truly home. Without siblings of her own, nothing makes my heart more full than watching L play with the other kids in our neighborhood. As for JD and I, we’ve made some pretty good friends of our own. We had amazing neighbors at our old house (who we are trying to convince to follow us to our new neighborhood), but now we have a community of people we love. This entry was posted in Family Life, Life, Mom Life and tagged DIY, Halloween, Holiday, Loralai, Mom Life, Parenthood. Bookmark the permalink.